Despite the increasing number of people and companies interested in going ‘paperless,’ there is something about the handwritten document that remains alluring. Perhaps because most communication is now digital, an individual’s handwriting seems to be even more personal and intriguing. For over a hundred years, Montblanc has produced fine watches and writing implements, and in this era of digital clocks and emails, they are still going strong. Montblanc is perhaps most well known for their signature Meisterstück collection. 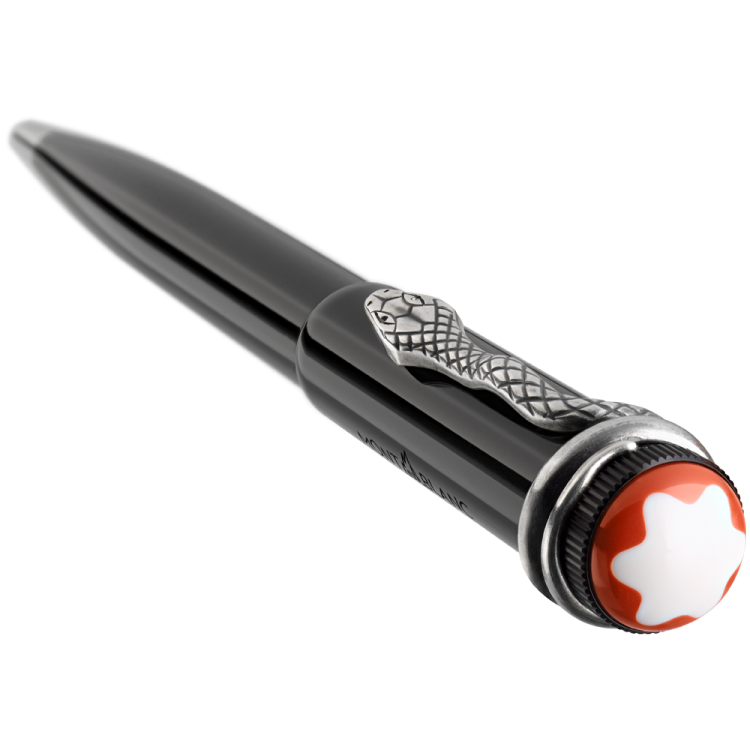 This year the company is celebrating their 110th anniversary by producing a commemorative version of one of their most famous pens: the Rouge et Noir. 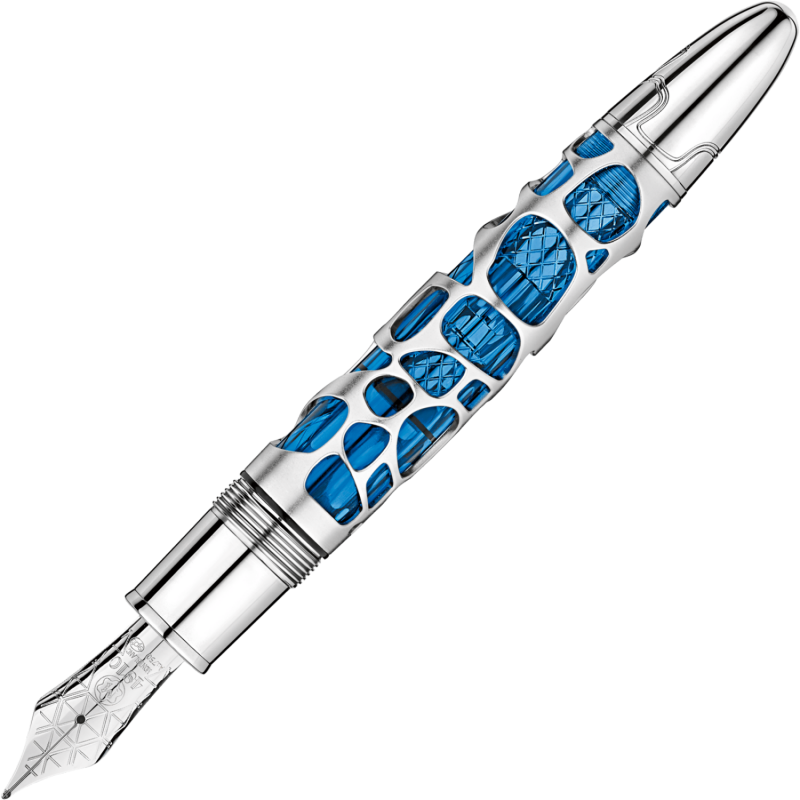 This writing implement was first produced in 1906, and its fountain mechanism made it an outstanding technical achievement (no dipping in inkwells required). 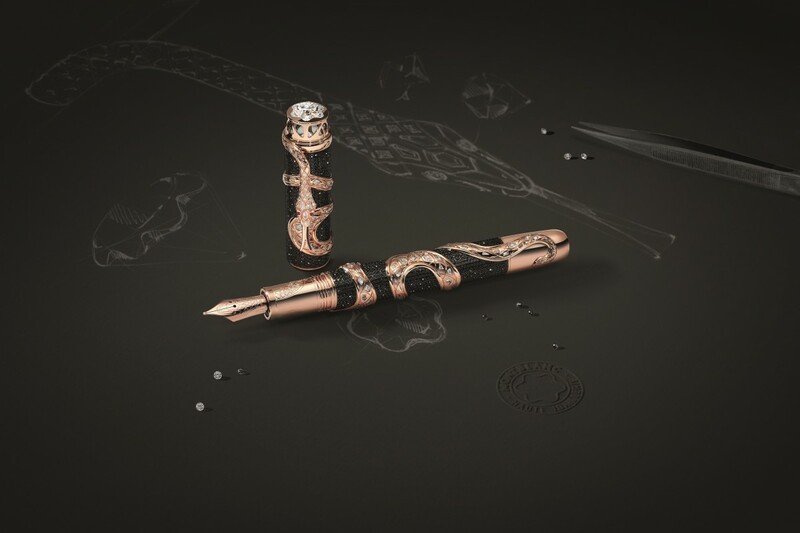 The company has produced an exceptionally luxurious limited edition version of this pen which is jewel-studded and made of rose gold: this instrument retails at $1.36 million. For those who are interested in commemorating the Rouge et Noir but don’t have over a million dollars to spend on a single pen, there is a more moderately priced Rouge et Noir Special Edition Ballpoint Pen available from the company’s heritage collection for $410.